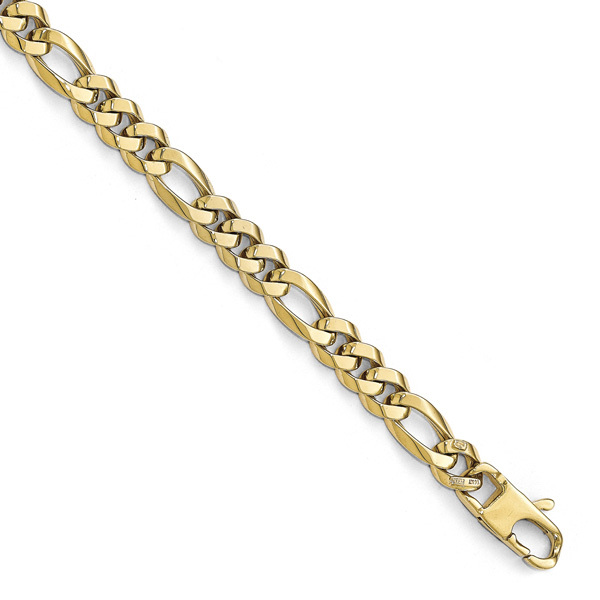 This attractive handmade Italian Figaro bracelet for men in 14K gold from Apples of Gold Jewelry is a fantastic way to show off your keen sense of style! 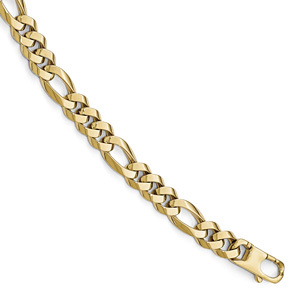 The bracelet, which is made in Italy, weighs approximately 9.15 grams of solid 14K yellow gold. 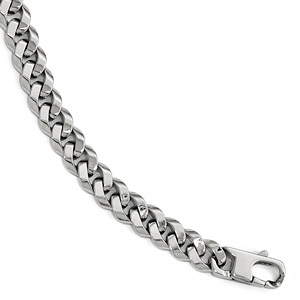 The unique look of the chain - both smaller links and larger links in a pattern, is both polished and handmade. The bracelet measures 7mm in width and 8 inches in length, and has a designer lobster claw clasp. We guarantee our Handmade Italian Figaro Bracelet for Men, 14K Gold to be high quality, authentic jewelry, as described above.